My 35 year old son, David has slight Cerebral Palsy, his gait is not exact and this causes tightness and discomfort in his feet. This does not deter David from wanting to go for daily walks. He pushes himself and walks a couple miles everyday. Sometimes it is very hard to find David shoes and sandals that are comfortable for his feet. 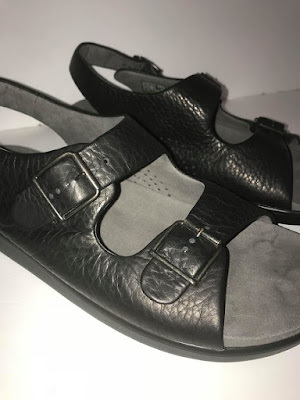 We received a complimentary pair of SAS Men's Bravo Black Sandals. My son was skeptical at first because its harder to find sandals that are comfortable enough for him. The first time he put them on to set out on his walk he brought along another pair of shoes just in case these sandals proved to be too difficult for him. To my surprise and to his, he returned home still wearing the SAS Shoes. I was delighted. He now has a comfortable pair of summer shoes. 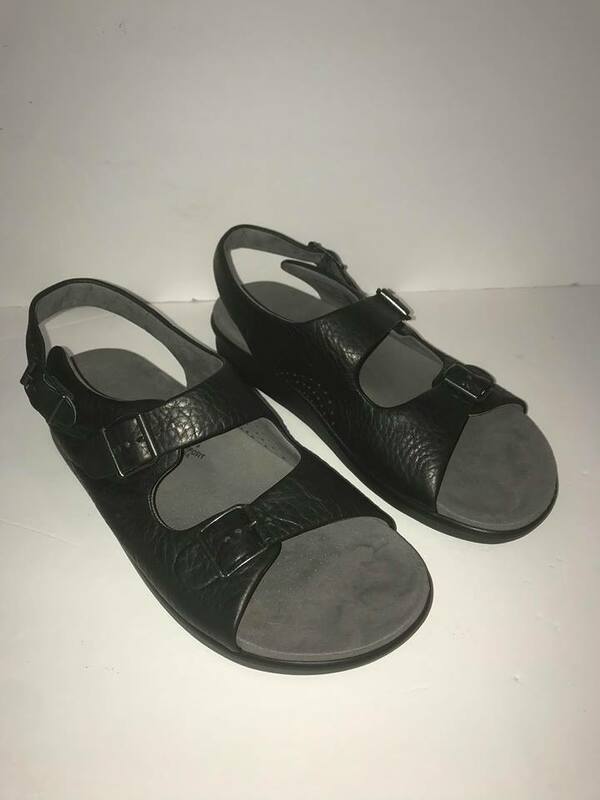 These SAS Men's Black Bravo Sandals are a genuine tumbled leather lined with a soft padded cushion that surrounds the foot. There are three adjustable straps with buckles that allow you to customize the fit. The insole is contoured, wrapped in super Suede that cradles the arches and curves to the foot. SAS Tripad® Comfort is a multi-layered insole that provides superior comfort. The footbed cushions the three pressure points of the foot, the outside ball, inside ball and the heel. The broad contoured footbed is covered with a super soft suede that molds to the natural curves and arches of the foot. This allows you to maximize the shock absorbing qualities of multi layers of comfort. The SAS ultra-puff lining of the sandal completely cushions and protests the foot. This soft topline construction will eliminate harsh edges against the foot. The sole base is wide providing increased stability and maximum shock absorbency. All of the sandals great features work to rebound every step and provide an all day cushioned comfort. 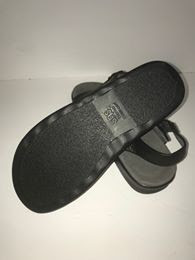 My son and I are thankful to SAS Shoes for providing us with these complimentary sandals. David said his feet are hurting less during and after his walks. He also said he would recommend these sandals to anyone dealing with foot pain such as he. Finding comfortable footwear is a big hassle when you have CP unless your ready to pay an arm and a leg. The price of these sandals are affordable for the superior amount of comfort they supply him with. These SAS Shoes were manufactured with high grade materials that will help them last a long time. SAS Shoes is a family owned company, and that family extends itself to every SAS employee. From their skilled shoemakers to their CEO, every employee of SAS works together to create the most comfortable shoes in the world. At SAS, they hold their product to only the highest standards and respect the workers who make that product possible. San Antonio Shoemakers has built the company around appreciating and respecting their workers. The strength of that relationship is what allows them to hold their product to such high standards. Every employee at SAS takes personal pride in creating the most comfortable shoes in the world. This is why many of the SAS team has been with SAS for upwards of 10, 20, even 30 years. In fact, 42% of SAS’s workforce has been on the job for over fifteen years. It’s this dedication that allows them to have such a high standard of service for their customers. Their customer’s comfort comes first, and together they make that comfort possible. Once again, Thank-you SAS Shoes for the great complimentary SAS Men's Bravo Black Sandals. He loves them. These look like such a comfortable pair of shoes! Definitely an amazing Father's Day gift! 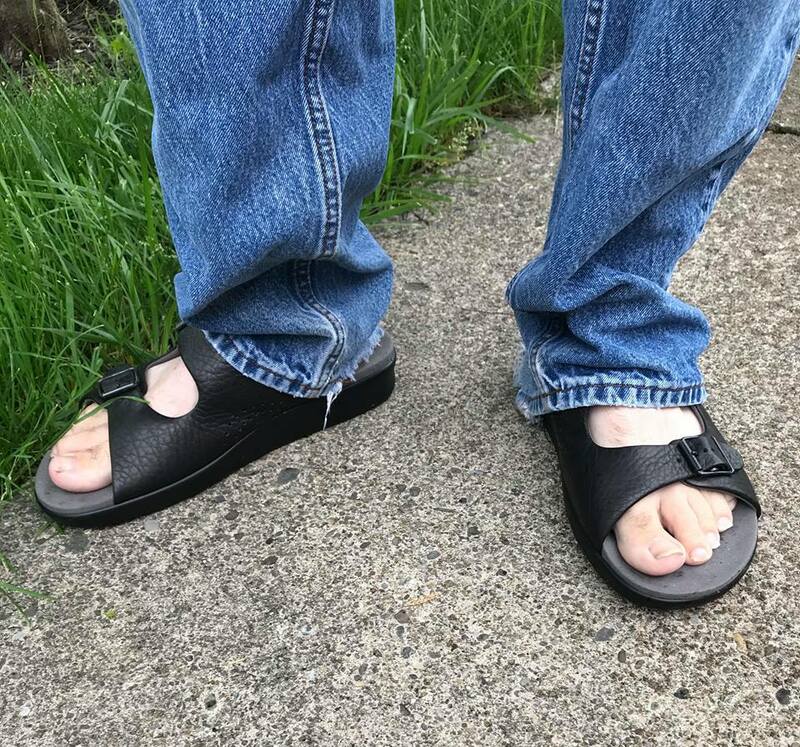 Father's day is coming up and this pair of sandals looks so comfortable, this would be great as a gift. These shoes look fabulously comfy! Forget dad I want a pair too LOL. They look absolutely comfortable!!! I've heard good things about SAS shoes. This pair looks very comfortable! Good shoes are always so important, for your back especially! And they do make a nice gift for father's day! I have not seen SAS shoes in forever. I used to have a few pairs. These look very, very comfortable! I imagine they make a very fine choice for a gift, and a wise choice for anyone who does a considerable amount of walking. They look like they offer some reasonable arch support! Comfortable shoes are always great and these ones look super comfy! I know a few men who would love these shoes. This is perfect for my Dad. He always complains of sore feet when he gets home from a walk. My husband lives in close toed sandals almost year round! When you find comfortable shoes, you keep getting them. These look great. This is a perfect and practical footwear especially for long walks. I like the simplicity and its durability. I've never heard of SAS Shoes but if you like it, I love it! LOL looks summer ready. SAS has a promotion going on right now $25.00 dollars off any pair of shoes, sandals and more through June, 14, 2018. I just bought a pair of women's sandals.